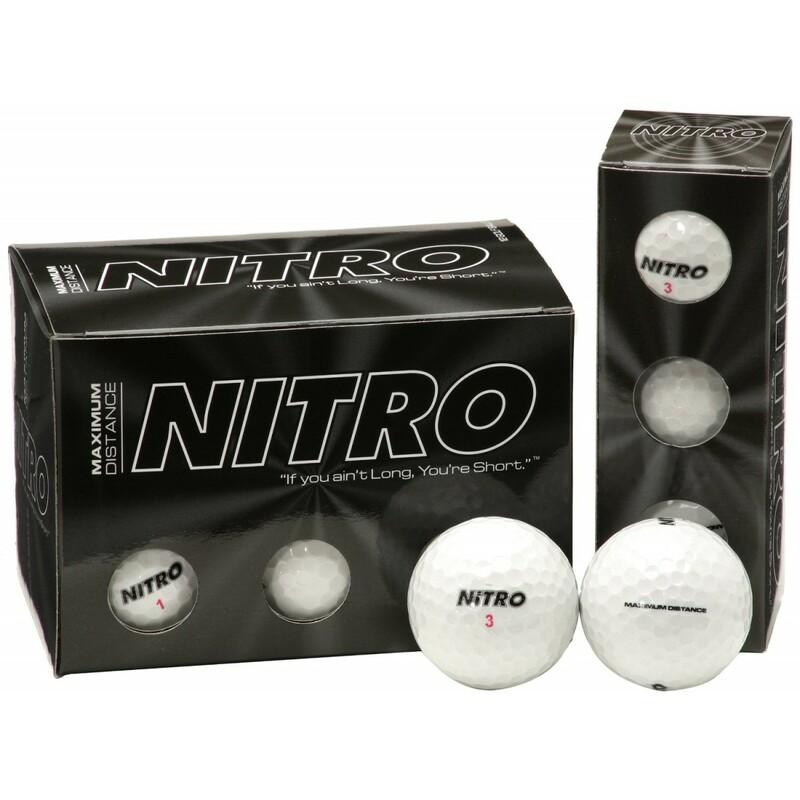 The Nitro Golf Max Distance golf balls have a ultra-reactive titanium core to maximize energy transfer so your shots fly higher and go longer. With the two piece tournament construction insures explosive distance off your metal-woods while providing ultimate stopping ability with your irons. 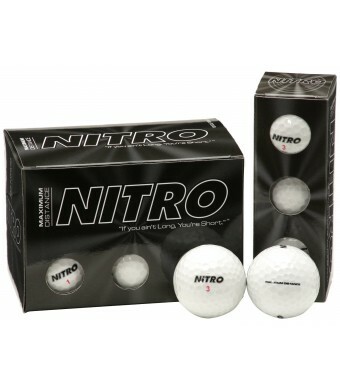 The super reactive Titanium core maximizes the energy transfer from club head to ball. Symmetrical and aerodynamic dimple design increases lift while decreases drag for higher and longer shots.